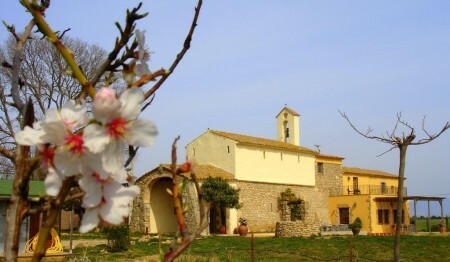 The Albera Natural Park is located in the north of Catalonia in the region of Upper Empordà. The extent of this natural park covers a total area of 4,207 ha, 742 ha of these belong to the attached booking Sant Quirtze whose main objective the protection of the Mediterranean tortoise. The result of these relationships between people and the cosmopolitan character of the place have been a number of cultural and historical elements. We found one of the largest concentrations of Catalonia monolithic monuments, between the Neolithic and the Bronze Age, built with large stone blocks are one of the highlights of the Catalan heritage. Another of the buildings to be found in this area are those that have a religious theme, some examples are: Monasterio Santa Maria de Panissars (eleventh century), Benedictine monastery of Sant Quirtze of Cholera (sX), Santa Llucia (XII-XIII ) and Sant Pere del Pla de l'Arca (sX). The castles and forts have also had an important role in the area, created by the need of defense. We found Rocabertí castles like the castle or the castle Requesens Canadal. We found differences in the landscape of the park on the place of this where we are, so we can differentiate between: the western, the eastern and piedelmonte. · The western: mostly forest area located at the highest points of the park. Notable forests of oak, chestnut, oak and holm oak. · The eastern sector: is the area of the landscape with a more Mediterranean cork oak forests and oak, plus some scrubland. · The piedelmonte: human presence and exploitation of this area are that dominate the landscape. We can find fields that range from the vineyards to the olive groves. The habitats found here are primarily determined by the proximity to the Mediterranean in this area of the Pyrenees. That is why here we find a distinct habitats of the rest, by the softer character that gives its proximity to the sea. We found a total of 18 habitats that are protected, among which are differentiated those with a priority and those without. · Stagnant waters with few minerals in sandy. · Large populations submerged pondweed. · Rafts and Mediterranean temporary ponds. · Alder forests and riparian related. Natural Park Albera highlights the botanical diversity it offers. Among the trees include species such as oak, strawberry tree, the oak or chestnut. Another species to stress are a kind cedars planted by the population of the area, but that has adapted over time to this environment. · The Holly: character key priority, as it is the only tree whose leaves throughout the year, and that underpins during the winter for many species, as virtually the only source of power. · The Yew: time ago was one of the most abundant species in the park, but the human presence has jeopardized his presence and is becoming less and very old specimens. This required special protection applied on them. In the attached booking Sant Quirtze, we find that is certainly the most important species in the park: the tortoise. Is the Nature of Albera the main place where we can find this species which is currently seriously threatened by human presence, it has special protection applied on them. For the protection of the species has established a tortoise breeding center for new issues year after year and thus avoid the species is threatened. The park is also rich in amphibians and reptiles, as the Euro-Siberian (green lizard, grass frog) and species more typical of the peninsula (common alligator, frog green). The park is one of the largest concentration of vertebrate communities throughout Catalonia with about 300 species, which account for 50-60% of all vertebrates. Birds lead this group with 205 species, followed by mammals (51), reptiles (20), fish (12) and amphibians (11). 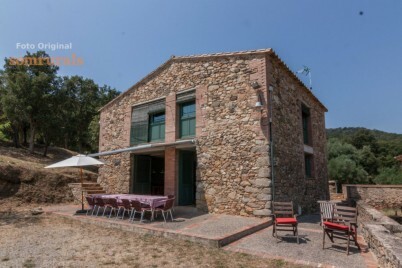 For rural tourism in the Natural Park and visit Albera calmly and time, we suggest you visit our list of accommodations in the province of Catalonia where is the park, see our cottages in Girona. You can also check the farmhouses related by proximity to the park. 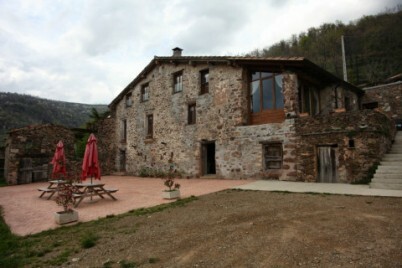 Cottage between the mountains of the Ripollès ideal to relax. Beautiful views of the meadows and woods that surround us. Detached country house. Game room, pool and bikes available. Spacious living room with kitchen. Shared swimming pool. Near the beach.